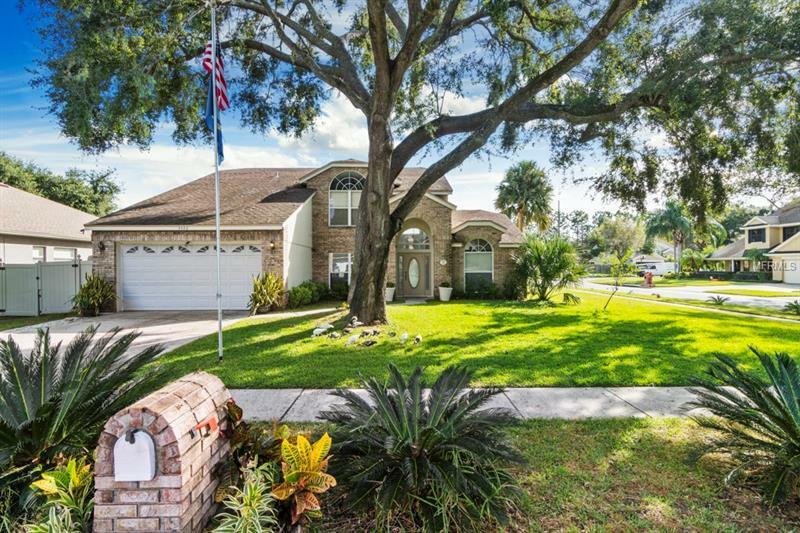 Welcome home to this move in ready, two-story pool home in Conway! As you arrive you will notice the well-manicured lawn and oak canopy gracing the front lawn. As you step inside, the vaulted ceilings and custom tile flooring will draw you in through the foyer. This open floor plan provides a formal dining room, living room and spacious family room. The family room is situated along the back of the house with a wood burning fireplace, two sets of french doors, large windows flooding the space with natural light and views of the pool. The kitchen is open to the family room with breakfast bar and nook with bay window overlooking the pool area. Step outside to entertain on the patio with plenty of room for outdoor dining and grilling! Enjoy the sunrise every morning with your cup of coffee with views of a small pond and Barber Park. No back neighbors and vinyl privacy fence along the sides make this an ideal space! Back inside the master suite is conveniently located downstairs with walk in closet, dual sinks, soaking tub, and separate shower. An additional half bathroom for guests is on the main level and indoor utility room. Upstairs a large loft area is perfect for a home office, playroom or could easily be converted to a 4th bedroom. Two additional bedrooms share the upstairs bathroom. Bike to Barber Park which features multiple dog parks, picnic and playgrounds, and so much more! Located in the desirable Conway Middle School and Boone High School District. Schedule a showing today! Additional Water Information: House backs up to a small retention pond with view of water and Barber Park behind it. Pet Restrictions: Buyer to verify County and/or HOA rules regarding type of pet restrictions or exotic pet restrictions.